Free Shipping Included! 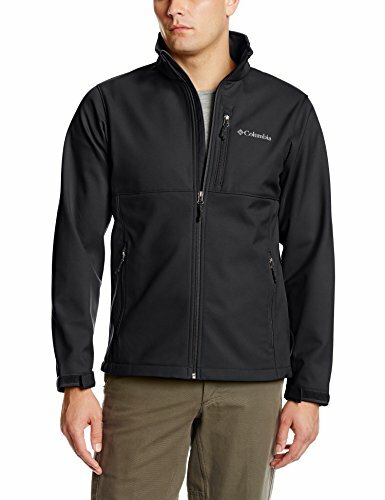 Columbia Men's Big & Tall Ascender Softshell Jacket, Black, Large/Tall by Columbia at Mas Fashion. MPN: 1556533-010. Hurry! Limited time offer. Offer valid only while supplies last. The perfect compromise between blizzard in the forecast and first chill of fall, this multi-functional soft-shell works hard and plays even harder. The perfect compromise between blizzard in the forecast and first chill of fall, this multi-functional soft-shell works hard and plays even harder. It's made from rich, supple soft-shell with all the comfort of a heavy sweatshirt and the weather-fighting prowess of a hard-shell jacket. The ascender's windproof Omni-shield fabric breathes and wicks moisture while creating a water-repellent force field between you and precipitation. Tighten the hem to keep out cold drafts with the adjustable draw cord and warm your digits in the zip-closed hand pockets. A supple tricot lining delivers an added dose of cozy comfort.